UPDATE and solution (17 March 2019): I do apologize for the substantial delay! 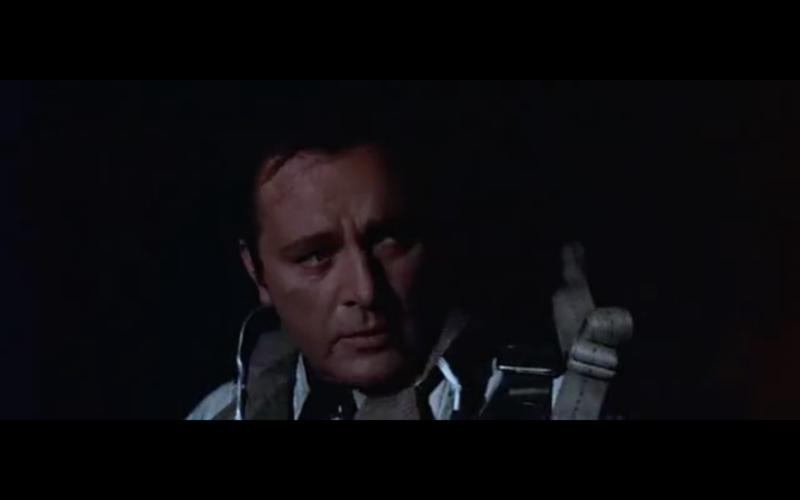 Already on 11 January 2019 kyperpunk solved the riddle: Inside the plane are Richard Burton and Clint Eastwood. 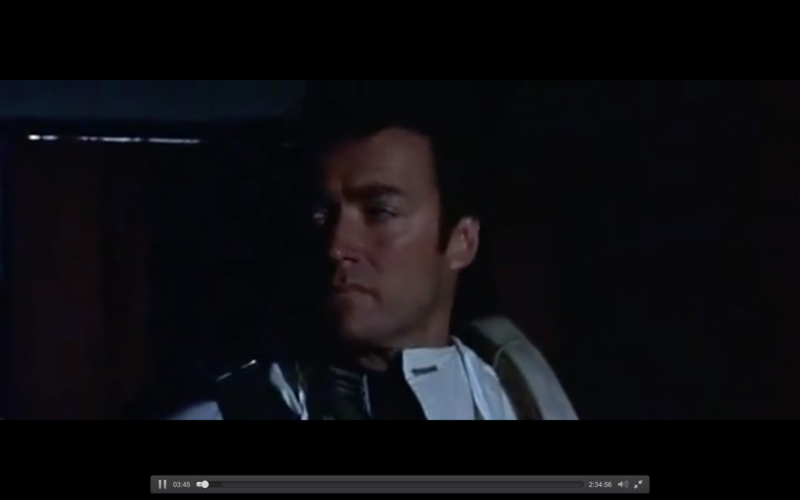 The screencaps stem from the opening scenes of ‘↑Where Eagles Dare‘ (Hutton 1968). Fun fact: The castle in the movie is Festung Hohenwerfen in Austria—the very same castle which served as the first inspiration for the ‘↵fictional castle atop Reichenbach Falls in ‘↑A Game of Shadows‘ (Ritchie 2011). HUTTON, BRIAN Geoffrey. 1968. 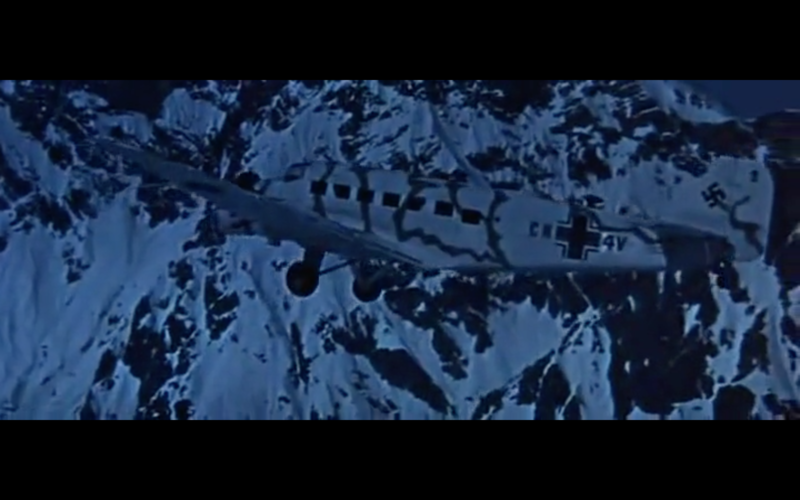 Where Eagles Dare [motion picture]. Beverly Hills: Metro-Goldwyn-Mayer. 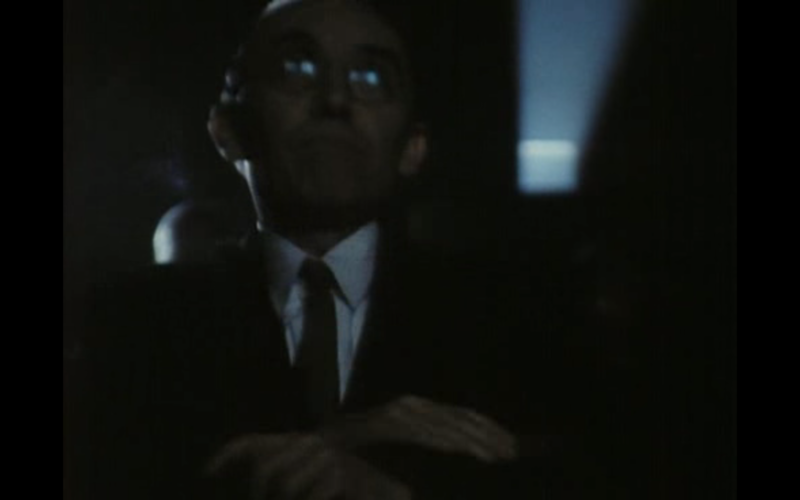 A man is sitting in the cinema. Which movie is he watching? 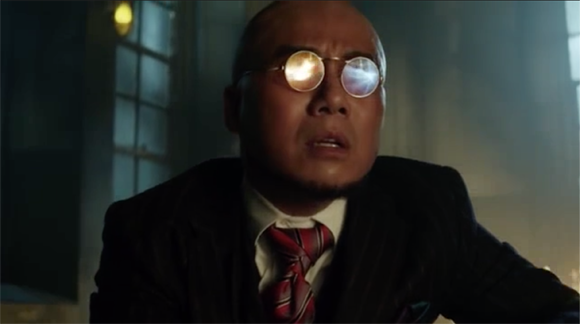 Mind, I am not asking from which film the screenshot is taken, who the man is, what he has done, or not done … although you may have to find out all that before you can answer the question. GRIEVE, ANDREW. 1992. The ABC Murders [TV series episode]. 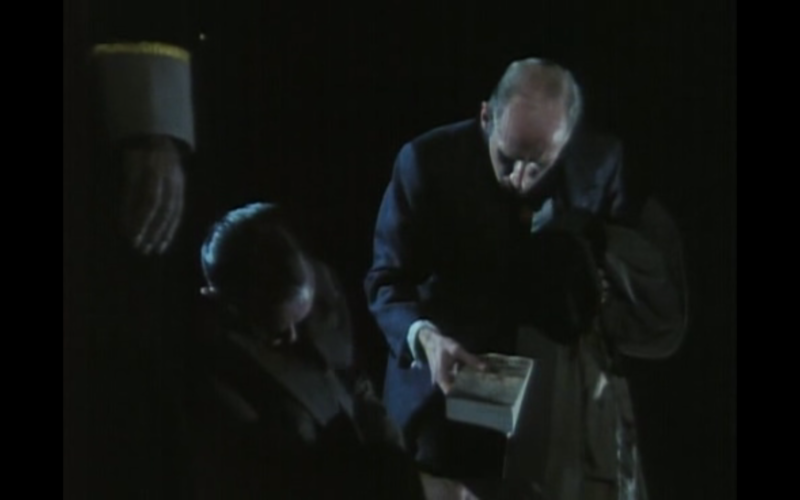 Agatha Christie’s Poirot 4(1). London: LWT. HITCHCOCK, ALFRED. 1932. Number Seventeen [motion picture]. London: Wardour Films. A crouchsliding tutorial with keypresses visible, slow motion, freeze frames, and explanation in voiceover. The tutorial aims at conveying an understanding of the basic principles, and suggests ways to start. Step-by-step instructions are given, and quite some opportunities of where to practice the techniques are shown. From Megahealth to Heavy Armor in a second or so, and more exploits of the strange qualities of the pots combined with Ranger’s Dire Orb. Going out of map and back, into closed areas, and instant teleports across whole maps. The Bridge to Rail jump done backward and forward with all champions, without using their respective special abilities. Plus a tutorial on how to do it – with keypresses and speed visible, slow motion, and an explanation of the circlejump and strafejumping. In between a little reminiscence of Bridge to Rail in Quake Live and Quake 3 Arena. The newly introduced Tri-Bolt and the Nailgun offer climbing techniques in Quake Champions – apart from Rocketjumping. So, in principle all kinds of trickjumping and DeFRaGgery pleasant are possible in Quake Champions. As of now Anarki, with his CPMA-like physics, seems best suited for tricking. Mind that Quake Champions is still in beta. Hence everything shown and said in this video might become subject to change until release.